Aldeby Norfolk. 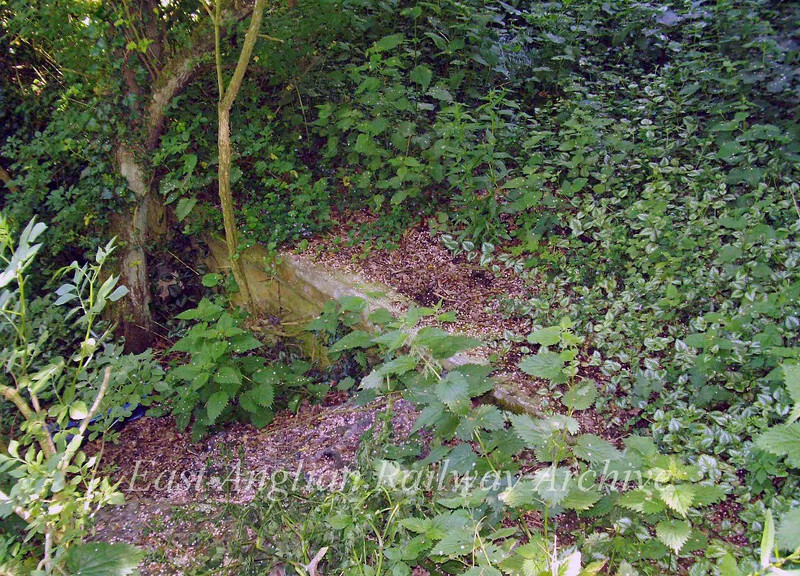 Most of the platforms at Aldeby have been buried under tons of soil and infill, but amongst the Ivy and nettles on the north side of the road bridge, the remains of the up platform were discovered. This extended for some way under the bridge. The station was on the Beccles to Yarmouth South Town line which closed to passenger traffic on 2nd November 1959. Photo dated 29th May 2009. Hard to imagine Britannias and B1's rushing through here.